Nashik: Nashikites have shown that messaging on Whatsapp can also serve to curb illegal activities and reporting crime in the city. The Whatsapp number started by the city police recently has received enthusiastic response from Nashikities, who are turning to the mobile app to report illegal activities around them. Started just three weeks ago, the number is getting all sorts of complaints. 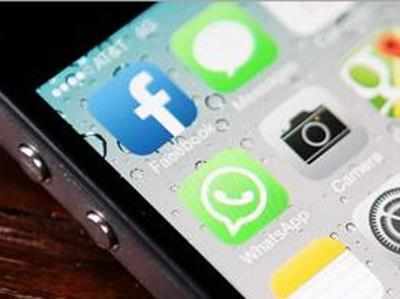 The Whatsapp number 9762100100 was launched on September 7. Over the past three weeks, the police have got 182 messages on the said number complaining about various things. The maximum complaints have been of illegal activities happening in the city. The police got a total 42 complaints about illegal activities, 20 complaints about scenes created by hooligans in different areas of the city, 15 complaints related to traffic problem, 25 complaints are about frauds, 60 other types of complaints and 20 complaints from outside Nashik city. Senior officials said the commissioner himself was monitoring all the complaints that were coming on the whatsapp number. The deputy commissioners of police concerned are immediately informed and instructed to take action, after which theDCP deputes an officer of the police station. The name of the complainant is also kept secret so that they do not have to fear of getting caught by the violators. Officials said it was a good mode of communication between the public and the police and people should come forward in large number to lodge complaints. There are many things, which could be troublesome for people or even illegal. All such things could be reported on the said number. The police said complainants concerned were also sending photographs to inform them about the exact problem. Officials said Nashik would soon be getting a CCTV cover, which would be beneficial in keeping check on various activities in the city. After getting over 900 CCTVs, while the police would be more braced to tackle problems related to street crime or traffic, people can continue sending messages to the police about illegal activities for prompt action.